In England , 749 employees of a hospital, a university and a large manufacturing firm in Leeds, older than 25 years, were examined. Facial acne was recorded in 231 women and 130 men giving an overall prevalence of 54% in women and 40% in men. It was mainly 'physiological acne' but clinical acne (grade > 0.75 on the Leeds scale) was recorded in 12% of the women and 3% of the men. Only 1% of the subjects with clinical acne had sought treatment. The majority believed that there was no effective therapy for acne. In Australia , 1,457 subjects from central Victoria aged > 20 years were examined. The prevalence of acne was 12.8% (13.6% for women and 11.8% for men). There was a clear decrease with age from 42% in the age group 20-29 years to 1.4% in the 60-69 age group. Acne was classified as mild in 81.2%, moderate in 17% and severe in 1.8%. Less than 20% were using a treatment on the advice of a medical practitioner. - A postal survey was sent to 173 adult pre-menopausal women treated for acne between 1988 and 1996 in the USA . 91 (52%) answered; all of them had received spironolactone at some point during the course of their treatment. The mean duration of acne was 20.4 years. 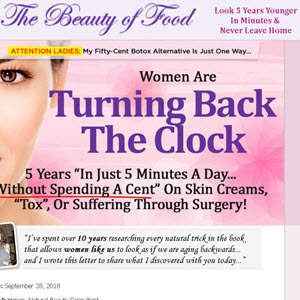 Acne was reported to be persistent in 80% of the women and 58% of them had an ongoing need for treatment. In this selected population, acne in adult women was particularly persistent and desperately recurring. - Another survey investigated the effect of the menstrual cycle on acne  in 400 women aged 12-52 years: 44% had premenstrual flare. Women older than 33 years had a 53% rate of premenstrual flare. The above-mentioned study  noted a premenstrual flare in 83% of the adult women with acne. We have conducted an epidemiological study of acne in adult females in France . A self-administered questionnaire was sent to 4,000 adult women aged 25-40 years representative of the French population. Three dermatologists validated the questionnaire. A definition of acne severity, according to questionnaire answers was established before the questionnaire was sent out: 'clinical acne' was defined as >5 pustules or papulonodules on the face at the date of the questionnaire or during the previous 3 months. 'Physiological acne' was defined as 1-4 papulonodules or pustules at the date of the questionnaire or during the previous 3 months. A total of 3,394 women completed the questionnaire of which 3,305 were useable. Prevalence of acne was 41% in adult women. In 17% of the cases, it was 'clinical acne' -with 6.2 inflammatory lesions as a mean - and in 24% 'physiological acne' - with 1.3 inflammatory acne lesions as a mean. 97% and 94%, respectively, admitted that they used to scratch or squeeze their 'pimples'. 49% of women with 'clinical acne' had acne sequelae, i.e. scars and/or pigmented macules. 34% of women with 'clinical acne' had not experienced acne during their adolescence. A premenstrual flare was recorded in 78% of women with 'clinical acne'. The adult females with acne reported a significantly more oily or mixed type than the non-acne group, sensitive skin was slightly more prevalent in the acne (71%) and physiologic acne group (68%) than in the non-acne group (64%). The sensitivity of the skin to sun was no different among the 3 groups. Smoking, stressful lifestyle and professional occupation were not different among the three groups. Some differences were recorded between the acne group and the non-acne group for poor sleep (35/32%), drug intake, especially benzodiazepine (10/8%), and daily skin make-up usage (16/13%). The quality of life assessed by a self-administered French translation of the DLQI was moderately impaired and more in the 'clinical acne' group. Only 22% of women with 'clinical acne' were on medical therapy at the date of the survey versus 11% of women with 'physiological acne'. This study confirms that acne in the adult female is more frequent than currently accepted. 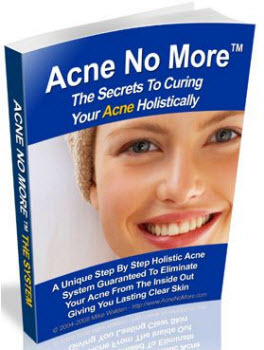 A high percentage starts during adulthood without any acne during adolescence. Scars are frequent. In all studies, few adult females had sought out medical treatment. 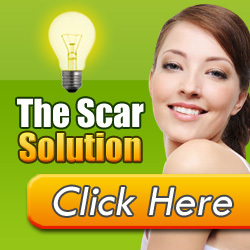 The reasons varied: they were not bothered by their acne; they thought that their acne would clear spontaneously, or they believed that there was no effective therapy. In our study, among women in the acne group who received some form of medical treatment, one third were taking oral medication. Topical treatment is often irritating. Our study shows that women with acne had sensitive skin. The management of acne in the adult female is difficult. Oral therapies are not very effective and the acne is desperately recurring. Topical therapy is not well tolerated. Men seem to be less frequently concerned in all studies. 1 Bloch B: Metabolism, endocrine glands and skin diseases, with special reference to acne vulgaris and xanthoma. Br J Dermatol 1931; 43:77-87. 2 Daniel D, Dréno B, Poli F, Auffret N, Beylot C, Bodokh I, Chivot M, Humbert P, Meynadier J, Clerson P, Humbert R, Berrou JP, Dropsy R: Epidémiologie descriptive de l'acné dans la population scolarisée en France métropolitaine pendant l'automne 1996. Ann Dermatol Ven-ereol 2000;127:273-278. 3 Rademaker M, Garioch JJ, Simpson NB: Acne in school children: No longer a concern for dermatologists. BMJ 1989;298:1217-1219. 4 Goulden V, McGeown CH, Cunliffe WJ: The familial risk of adult acne: A comparison between first-degree relatives of affected and unaffected individuals. Br J Dermatol 1999; 141:297-300. 5 Lucky AW, Barber BL, Girman CJ, Williams J, Tatterman J, Waldstreicher J: A multirater validation study to assess the reliability of acne lesion counting. J Am Acad Dermatol 1996;35: 559-565. 6 Schäfer T, Nienhaus A, Vieluf D, Berger J, Ring J: Epidemiology of acne in the general population: The risk of smoking. Br J Dermatol 2001;145:100-104. 7 Taylor SC, Cook-Bolden F, Rahman Z, Stra-chan D: Acne vulgaris in skin of color. J Am Acad Dermatol 2002;46:S98-S106. 8 Jemec GBE, Linneberg A, Nielsen NH, Fro-lund L, Madsen F, Jorgensen T: Have oral contraceptives reduced the prevalence of acne? A population-based study of acne vulgaris, tobacco smoking and oral contraceptives. Dermatology 2002;204:179-184. 9 Goulden V, Stables GI, Cunliffe WJ: Prevalence of facial acne in adults. J Am Acad Dermatol 1999;4:577-580. 10 Plunkett A, et al: The frequency of common non-malignant skin conditions in adults in central Victoria, Australia. J Dermatol 1999;38: 901-908. 11 Shaw JC, White LE: Persistent acne in adult women. Arch Dermatol 2001; 137:1252-1253. 12 Stoll S, Shalita AR, Webster GF, Kaplan R, Danesh S, Penstein A: The effect of the menstrual cycle on acne. J Am Acad Dermatol 2001;6:957-960. 13 Poli F, Dreno B, Verschoore M: An epidemio-logical study of acne in female adults: Results of a survey conducted in France. J Eur Acad Dermatol Venereol 2001;15:541-545.